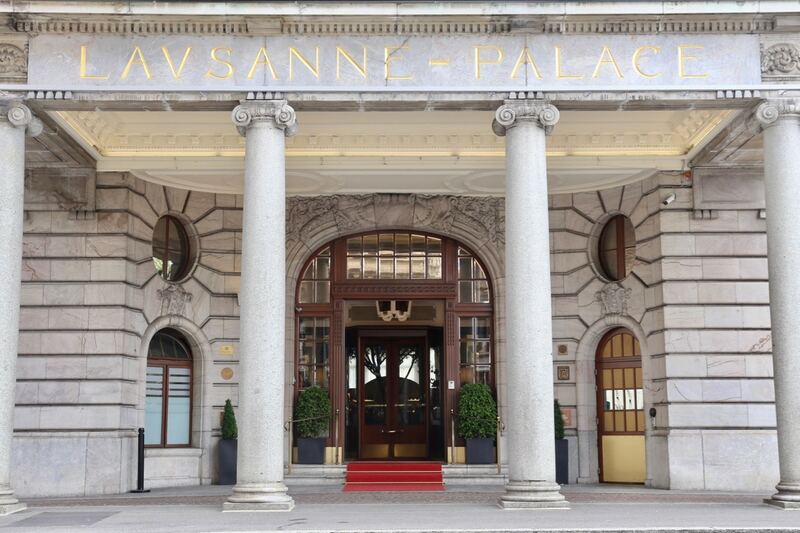 Since first opening its doors in 1915, The Lausanne Palace has been one of the beloved Swiss city’s social hubs, providing a meeting place for well-heeled locals and an escape for luxury travellers. The iconic property was the last of Switzerland’s high-end palace hotels to open during the tourism boom that began in the 19th century. Visit today and it feels as though every decade of its century-long history is preserved within its understated walls. 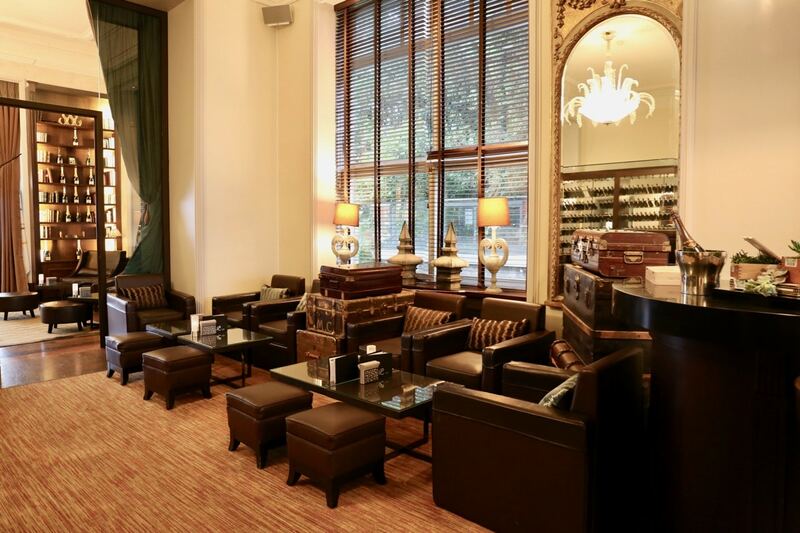 Swing through the hotel’s vintage front doors and you’ll be greeted by Lausanne’s poshest Living Room, 1915 Bar, where guests and their visitors come to kick back and relax. 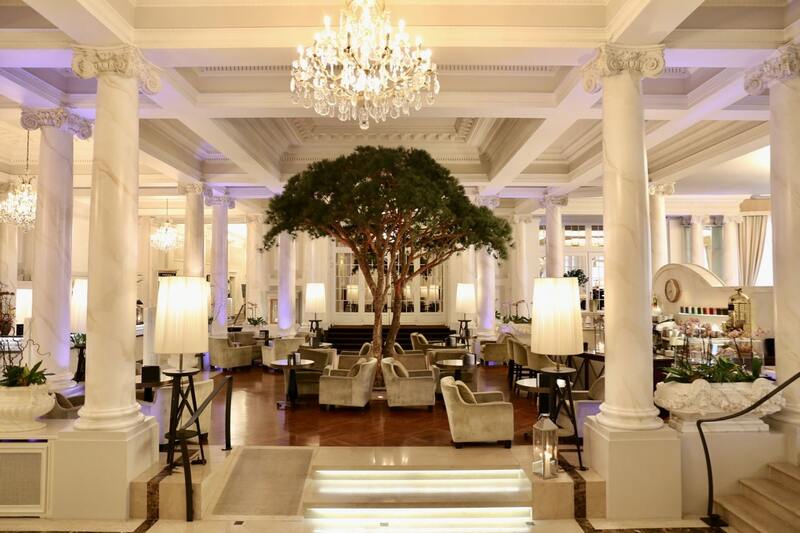 The fancy foyer with its marble columns and chandeliers is a perfect spot to sip loose leaf and nibble from a dessert cart teaming with sweets. 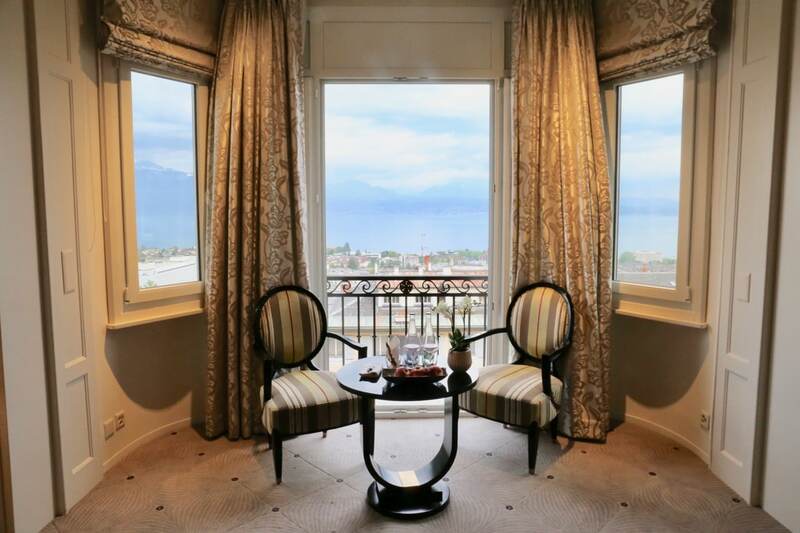 The hotel’s well appointed executive suites feature a sizeable entertainment and relaxation area, complete with pull-away doors that offer jaw-dropping views of Lake Geneva and the snow-capped Alps. French fashion icon Coco Chanel was a regular overnight guest here and there’s no doubt she’d appreciate the elegant and unobtrusively decorated rooms which are dressed from head to toe in a muted colour palate. Lausanne Palace even has a Coco Chanel Suite, a posh pad dedicated to the Parisian fashionista where couture fans can relax in luxury. Weird fact: Chanel’s beloved dog passed away while she was staying at the hotel and is buried at Lausanne Palace’s backyard. 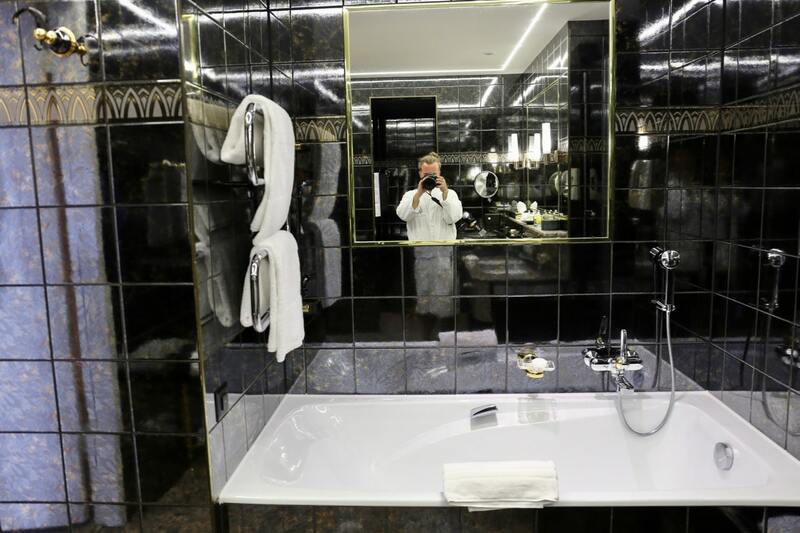 Step into the elegant bathroom and you’ll find an oversized soaker tub, stand alone shower, and his and her sinks featuring sweet smelling amenities by Penhaligon’s London. Downstairs, the large Ayurveda spa is a maze of pools, saunas, hammams and a state-of-the-art fitness facility. Body treatments are bookable on demand and there’s even a hair salon for those that require a quick primp. 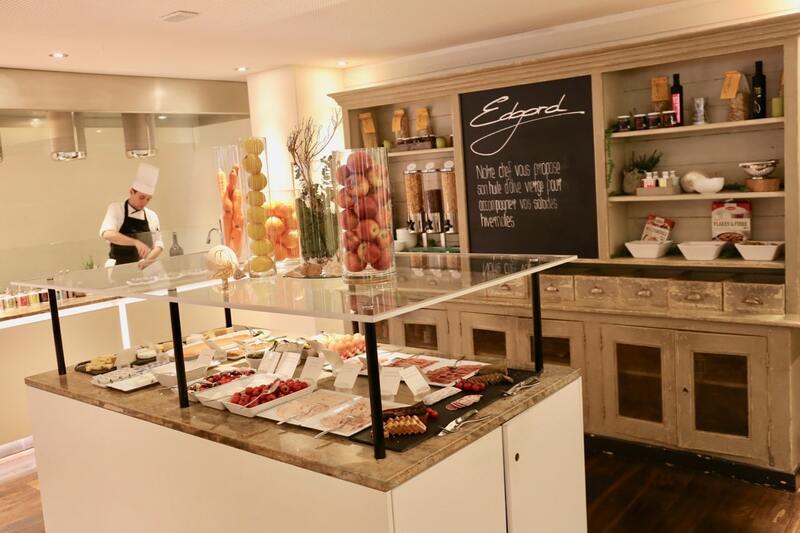 Served in the Coté Jardin Restaurant, the hotel’s daily breakfast buffet offers a little of something for everyone, with beautifully-presented plates of sliced tropical fruit, smoked fish, charcuterie, salads, cereal, fresh pastries and eggs cooked to order. At cocktail hour head to LP Bar and if the suns out you’ll find the street facing patio the hottest ticket in town. Hop up at the bar and watch mixologists shake together classic cocktails while a sensational soprano and skilled guitarist croon catchy ballads. If you’re looking for a more intimate enclave plop yourself down at the famous Krug Room and you’ll feel as though you’re sitting in an old library surrounded by vintage books and luxurious luggage. 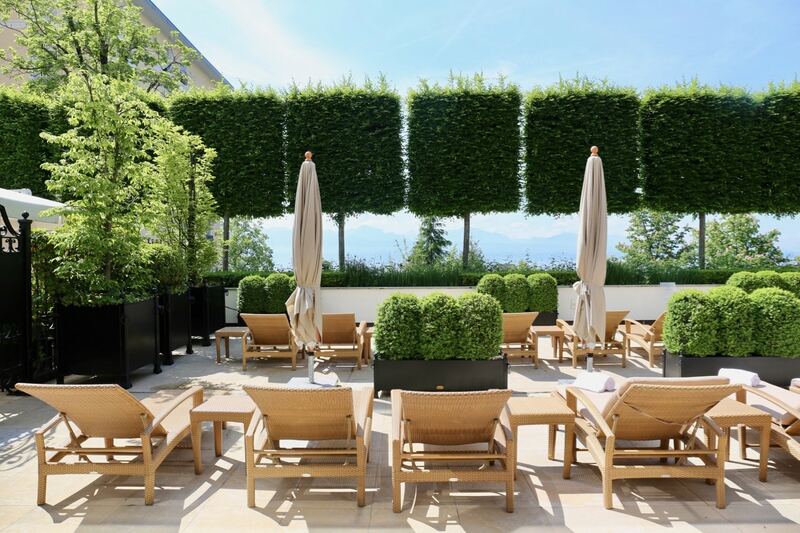 The hotel’s signature restaurant, La Table d’Edgard, has been awarded one Michelin star and serves up Mediterranean-inspired food by Switzerland’s own Chef Edgard Bovier. 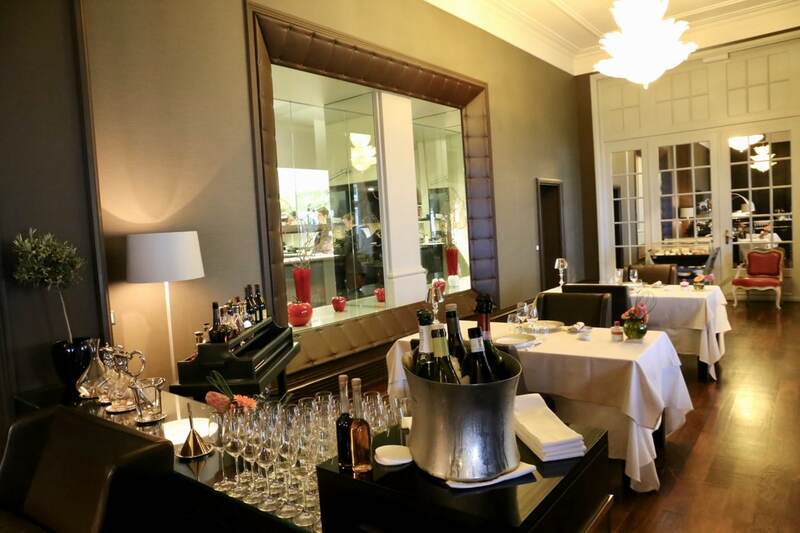 Guests can sip from several wine bottles by the glass or indulge in a cognac tasting while peeping through a floor to ceiling window to watch the culinary team carefully craft each dish. At Brasserie Grand Chene food fans dine on the finest French specialities while surrounded in a truly Parisian atmosphere. Green leather benches, polished wooden floors, brass ornaments and solid wood staircase give it a pleasantly classic and theatrical atmosphere. 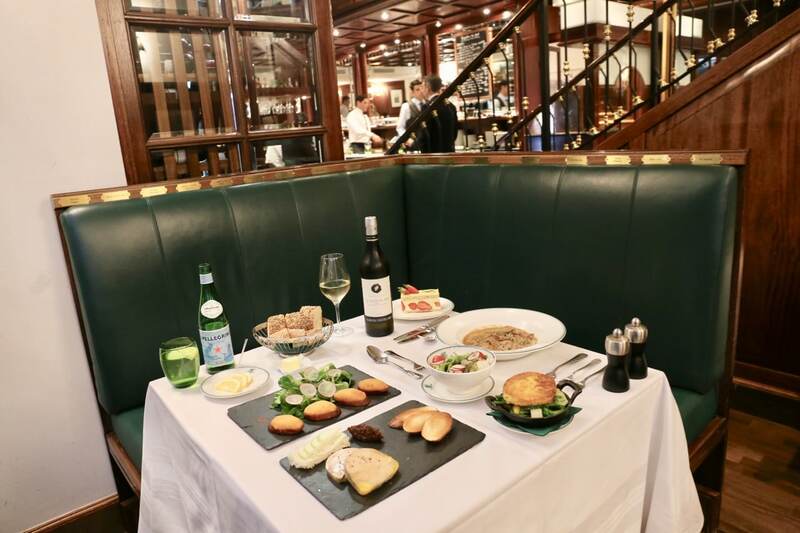 The restaurant has played host to a parade of famous politicians and personalities over the years, from Elton John to Nicole Kidman, and each A-listers name can be found engraved into petite brass plates which hang throughout the dining room. Ask your server to suggest the finest local wine and pair with French faves such as escargot, duck foie gras terrine, and lemon meringue pie.